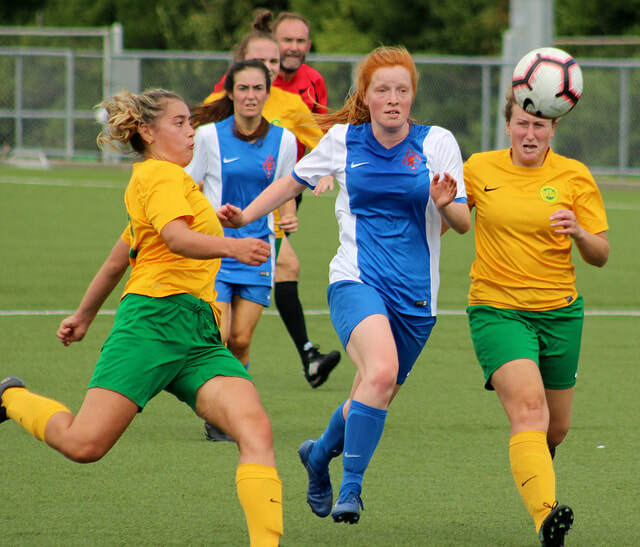 Victoria University surprised everyone with a major upset in the Kelly Cup on Saturday defeating cup holders Wellington United 1-0. While both teams weren’t at full strength, it was University with ex Wellington United keeper, Emma Rzepecky, who played an outstanding game in goal, that came out on top. It was quite a surprise given that the Diamonds had about 40 shots on goal and hit the bar three times. It was a very uncharacteristic defensive error from the Diamonds that allowed University’s Jessie Auckram to score on her debut. University coach, Ollie Davie, was pretty ecstatic with the result saying it was a full team effort and praising everyone of his players who he said all played a part. In the curtain raiser, the Executive Plate game which kicked off late due to no referee turning up, it was a completely different story between the reserve teams. Wellington United’s Sapphires hammering Victoria University 8-0. Libby Browne got four, Sam Whyte a hat-trick and Issy Lenihan-Ikin one. Sapphires co-coach Alice Cooke-Harvie said she was very happy with the team who played such free flowing football and were extremely selfless. University coach, Alistair Brownlie said after going 4-0 down after 20 minutes, they made some tactical changes which he felt worked and given they had only been training for two weeks he was pleased with the way his team responded.